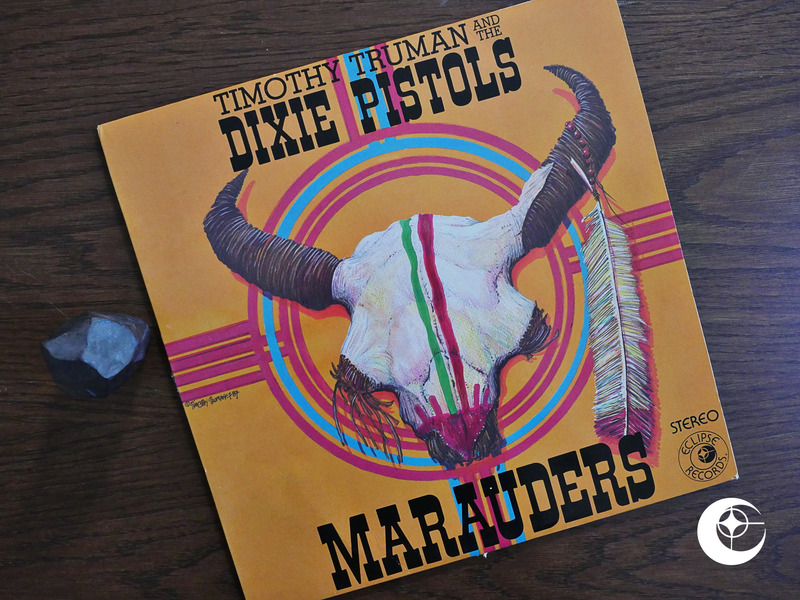 Marauders (1987) by The Dixie Pistols. 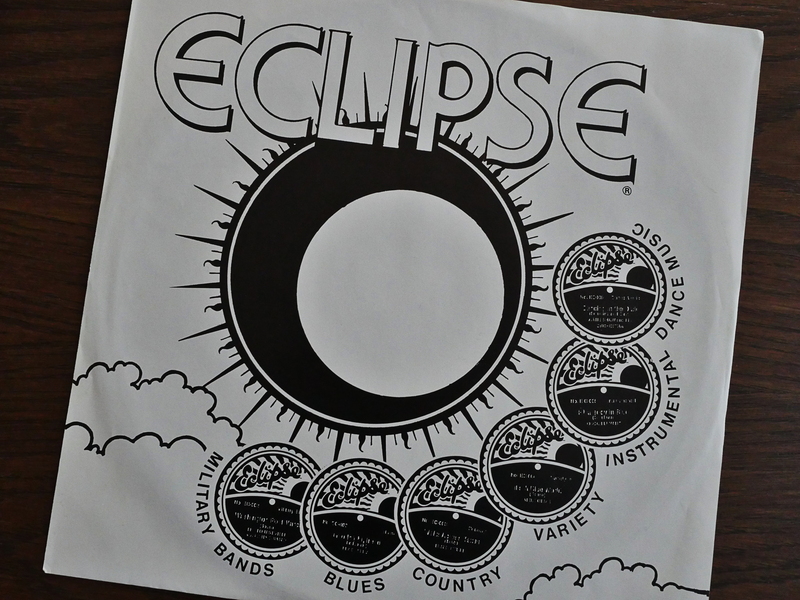 Timothy Truman had earlier included a flexi disc with his Scout comic book featuring his band The Dixie Pistols, but this is the first (and only) LP Eclipse released. And as you’d expect, catherine ⊕ yronwode provides the liner notes, as she wrote the column on the inside cover of just about every comic book Eclipse published. 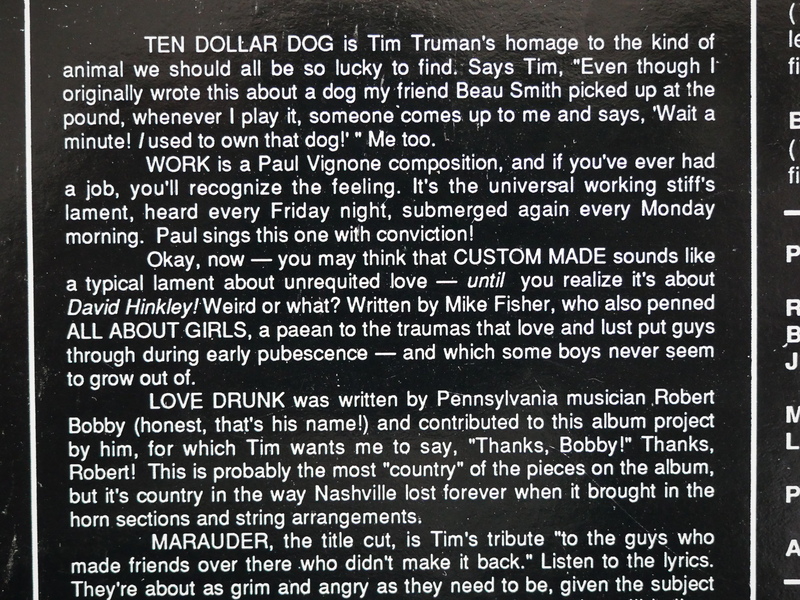 I’m sure I could make fun of these liner notes all day long, but I’m not going to, because I’m a gentleman. Besides, Timothy Truman seems somebody who could beat me up, and I don’t want that. As for the music… It’s completely not my thing. It’s the kind of constipated-singing manly man “country” rock that starts playing automatically in your head when you look at those pictures. And it’s pretty ineptly recorded, with the tambourine so highly mixed on some songs that it’s like sticking your head into a concrete mixer. But not in a fun way, like with Einstürzende Neubauten. 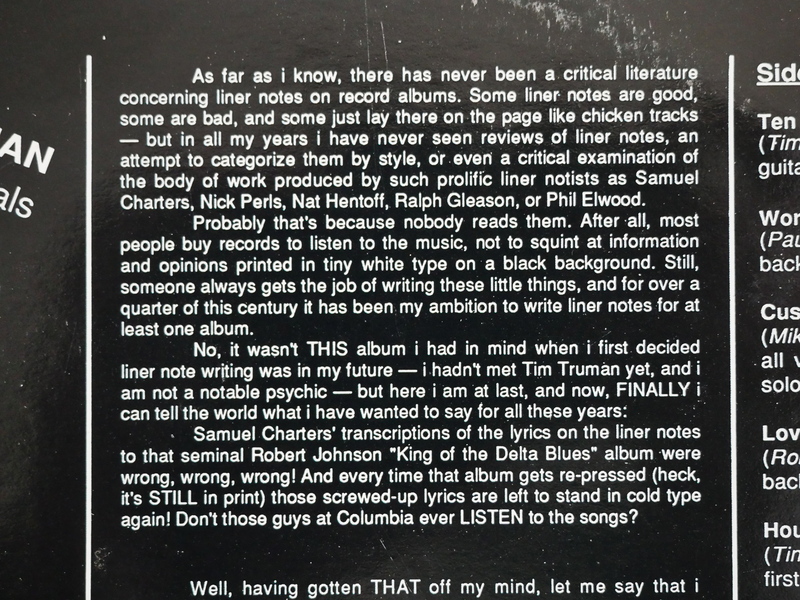 The inner sleeves are kinda fun. “Military bands” was apparently one of the genres they came up with while drunkenly designing this one night. This LP raises several questions, the first of which, to my mind, is “Why is a self-proclaimed •Chicagostyle blues’ band from Pennsylvania Called ‘The Dixie Pistols’?” The rest of you may be more interested in the second question, especially since I don’t have a good answer for the first, and it is: “Can Timothy Truman atually play guitar?” The answer is yes, and often. 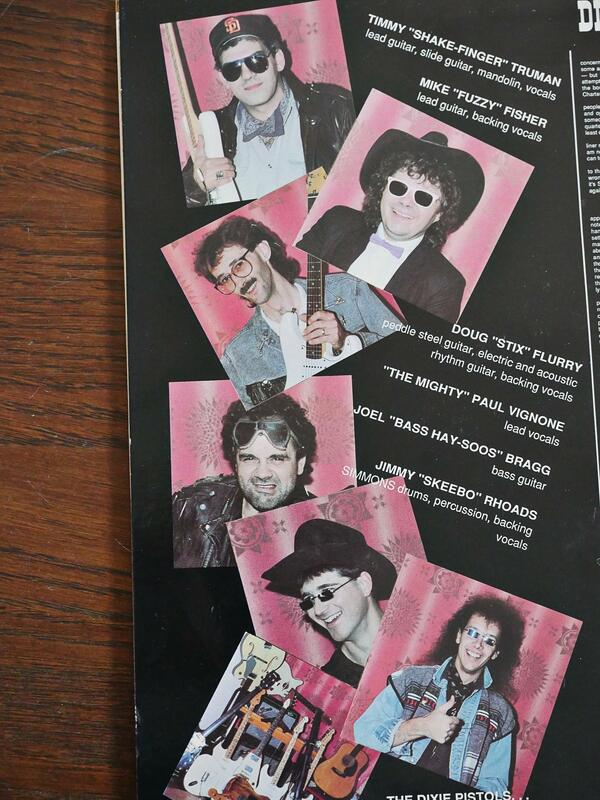 Indeed, one of the Pistols’ main strengths is Truman’s axework, and his forays into slide guitar, mandolin and singing are also pretty enjoyable, if a good deal less accomplished. I have no idea what happened to the Pistols, but if you google on youtube now, you’ll find several clips with titles like “Blues Crusade by Tim Truman And The Dixie Pistols Karaoke @ Bucky’s GoPro”. So… they’re doing karaoke to the album?